This camera has been specifically designed for operation under water and, thanks to the built-in spotlights, it also delivers high-contrast images even at darkness. And different fastening possibilities or the optional trim weight provide for optimum stabilisation and orientation. With little effort, you thus check e.g. the complete outer hull skin, control underwater barriers or search for sunken objects. 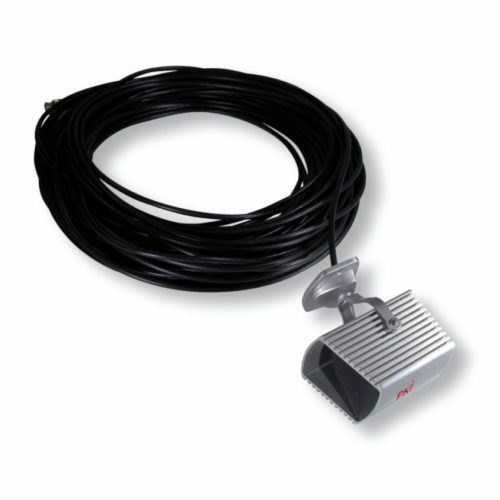 The watertight camera with integrated LED illumination can be easily connected to any video input via the existing connection. Dimensions: (D) 100 mm x (L) 119 mm. Optionally also available as IR laser version instead of LED illumination for depths up to 50 m or 100 m. LCD monitors or recorders or laptops on request.